After over two years and 70.5 million dollars in renovations, the Robinson Center's Second Act is opening this November. The official ribbon cutting is Thursday, November 10 at 10:00 a.m. They have a great winter schedule, and tickets go on sale this week (October 10, 2016). The Robinson Center underwent a major redesign and construction photos show how massive the upgrades have been. The auditorium was stripped down to the bones and built back up. The plans took the history of the Robinson Center into account, so most of the historic exterior has been spared. The new design also takes the Center's scenic location on the Arkansas River into account with a new 5,800 square foot outdoor terrace overlooking the Arkansas River. The Robinson has a long history in Little Rock. It opened on February 16 in 1940. The original cost estimates were $650,000, and it was the only auditorium in the South with air conditioning. It was considered the most modern type of theater construction in the country. Original tickets for events were around $2. The Robinson has hosted everything from Elvis Presley concerts, to basketball games to Saturday night dances. The Robinson Center needed some modernizing. The newly remodeled theater has more acoustic volume and height, improved sight lines, increased lobby space and restroom facilities and new box seating along the sidewalls. They say every seat in the house has a good view of the stage. They've also made some ADA upgrades. In the back of the house, there have been behind the scenes improvements with the installation of modern electrical and lighting systems. They've also increased backstage space. The new upgrades will allow for some performances that would have been difficult to produce at the old Robinson Center. For example, one of the first shows that will be produced at the Robinson is a new production of "The Phantom of the Opera" It's one of the largest productions on tour in North America, with a 52-piece orchestra. The previous backstage space would have made such a performance impossible. 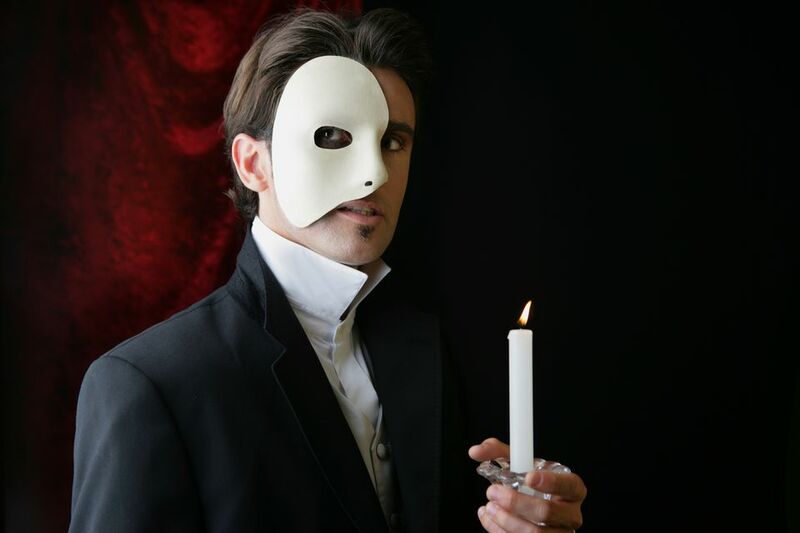 "The Phantom of the Opera" has performances planned for March 8-19. Little Rock is also getting the touring production of "The Lion King" musical in spring 2018, probably because of the improvements. "The Lion King" won six Tony Awards in 1998 and is the third longest running Broadway show ("Phantom" is number 1). Celebrity Attractions will start using the Robinson Center in December. Since the Robinson opens up during the holiday season, one of the first productions is holiday related. "Elf: The Musical" (which had a different production at the Rep in 2014) will be their first show from December 3-4. From January 13-15, Rodgers and Hammerstein's "Cinderella" the musical will take the stage. After that, we have "The Phantom of the Opera" and Riverdance in April. Tickets start at $114. Tickets for "Elf" go on sale on 10/10. The Arkansas Symphony Orchestra will also use the Robinson Center, as it did prior to the remodel. The first event will be the big gala fundraiser, The Opus Ball. The Opus Ball the ASO's major fundraiser for the year. Tickets start at $750. For something a little less pricey, the ASO will perform "Masterworks: Pines of Rome" from November 19 to 20. Tickets for that are still available (as of now). They start at $55. Other performances by the ASO will be "Masterworks: Rachmaninoff’s Piano Concerto #3" on Jan.
28-29, "Pops: Rock On!," Feb. 11-12, "Masterworks: Mahler: Resurrection," Feb. 25-26, "Pops: Imagine: The Music of John Lennon," Mar. 4-5, and "Movie Night With the ASO," May 13 & 14. If you aren't familiar with the ASO's format, they do several classical concerts (the Masterworks series) every year. They also re-imagine popular music with symphony instruments in the "Pops" series. Those are fun, and an easy entry into classical musical performances. Symphony tickets range from $39-67 for most events. Ballet Arkansas is going to present their major holiday performance, "The Nutcracker" from December 9-11. It should be fun to watch on the new stage. I actually think Ballet Arkansas does this better than the Moscow Ballet. The Moscow Ballet will be performing their version on 22.